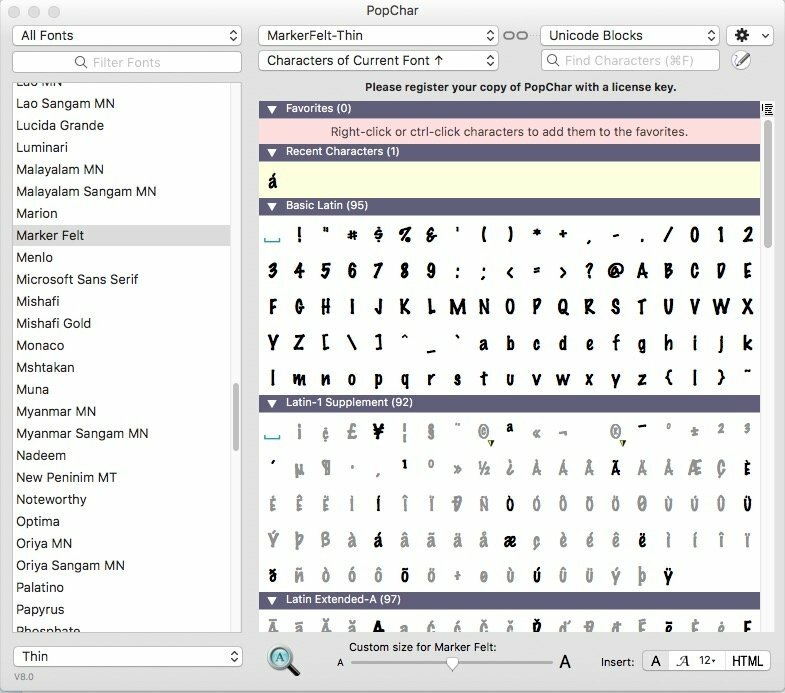 Nowadays, you can write on your computer using hundreds of different fonts and character types. 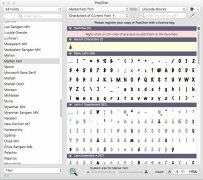 But thanks to this application, you can quickly access even more special fonts and characters that you can write digitally without having to remember strange keyboard combinations. Works with all applications that are currently compatible with Unicode. 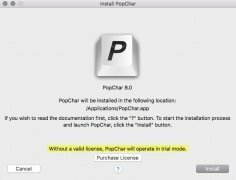 Once you install it, the application doesn't open like any other one. In fact, that's where its name comes from, it's a mini-application that runs like a pop-up so that whenever you're working with a text processor or app that requires you to write, you can quickly access the fonts and characters that it offers. 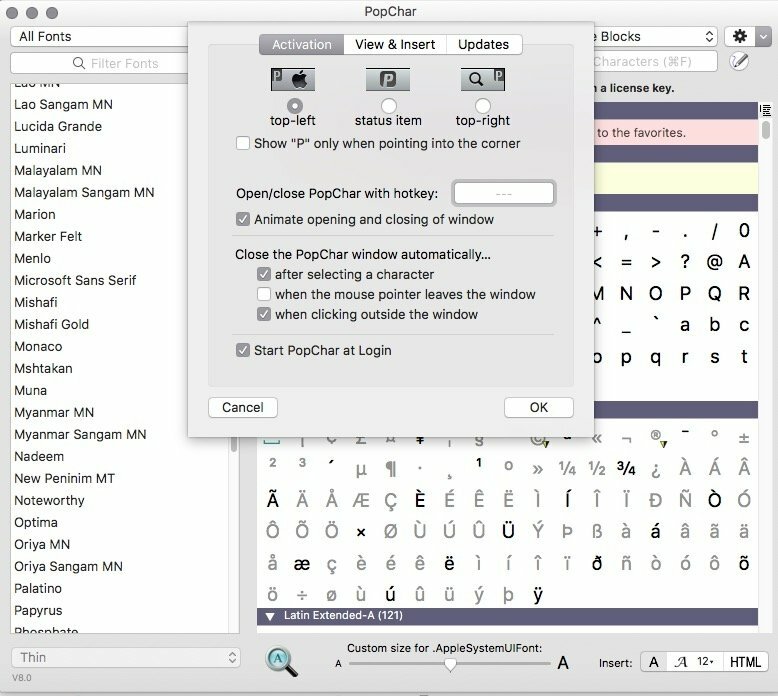 So that you can make the most of a much more comfortable writing experience and you can quickly access these fonts or any special character whose ASCII code or keyboard combination you can't recall, PopChar allows you to configure favorites, organize fonts and characters or simply carry out searches, as well as letting you zoom into those characters with a magnifying glass to make sure that they are what you need. 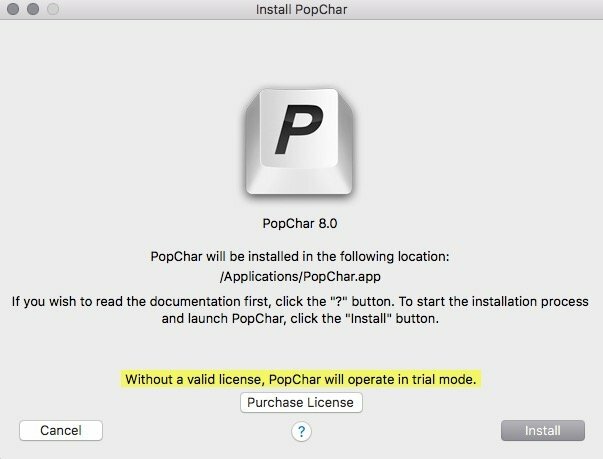 Until you manage to get hold of a PopChar licence, it runs in trial mode. As it's not the usual old application, we won't see its icon on the lower app bar but a black P on a gray background will appear in the top left corner to enable the program and bring it to the front. Although you can download it for free, to be able to have full access to all its features and fonts available, we'll have to get hold of a license. To uninstall the application, you'll have to go to the options wheel in the top right corner and click on Quit. Once closed, you can delete it from the Applications folder. It's compatible with Mac OS X versions from 10.6 and above. That means that it's obviously compatible with Yosemite, El Capitan, and macOS Sierra.